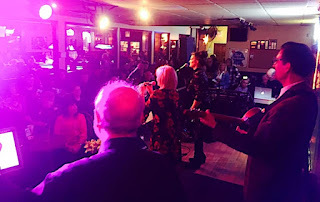 60's FOLK REVIVAL: Putting The Hoot In Hootenanny! It’s been awhile since Toronto has had a real Hootenanny. The response to the 60's Folk Revival Hootenanny at the Eton House on Saturday night suggests it’s been long overdue. It was a great night of music with so many highlights. Here are just a few! A few days before the show, Henry, Sue and Dwight dropped down to Zoomer Radio for a fun interview with Eva D and Norm Edwards. We talked about the era and the music, and did a live performance of a portion of Peter, Paul and Mary’s ‘If I Had My Way’. Here’s a link to the interview if you missed it: ZoomerRadio Interview. 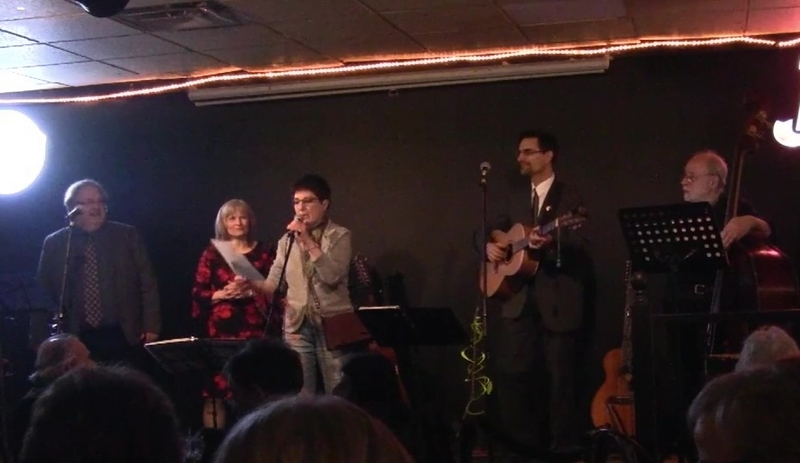 The Hootenanny was off to a great start thanks to Eva and Norm. 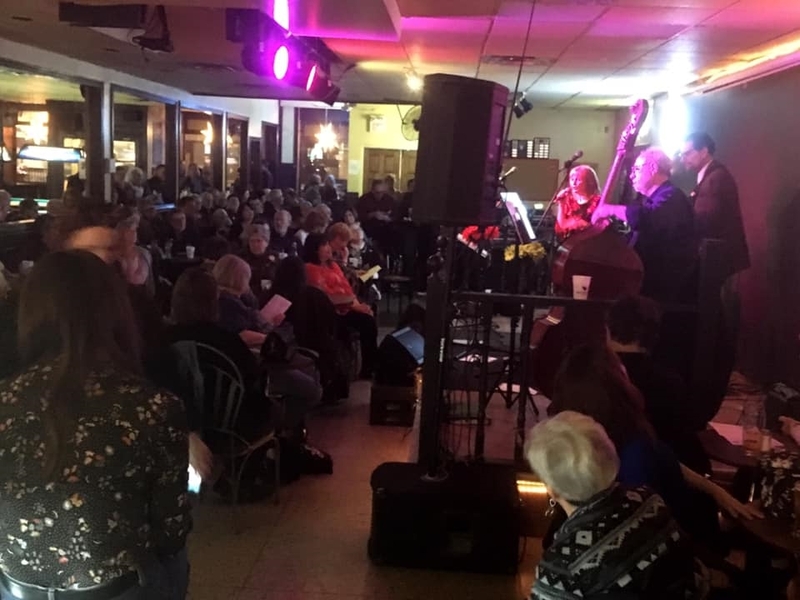 We knew from advance ticket sales that we were going to have a good sized crowd, but ended up with one much bigger than expected...170 strong! People were enthusiastically arriving as early as 6pm for the 7:30 show, which created a lot of energy along with temporary log jam at the front door. It was literally a rush. Once we got everyone comfortably in, we couldn’t have asked for a better audience. 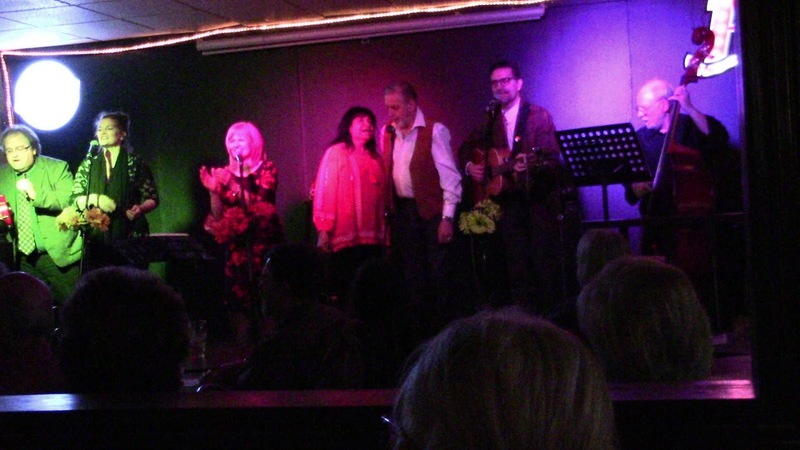 They listened intently through the first 2 sets and then let loose during the singalong part of the night. We were thrilled to meet so many people who shared our love of the Folk Revival music. Linda Goldman MC’d the event and helped us keep things moving. The first set was The Greatest Hits of Peter, Paul and Mary. Sue’s ‘There Is A Ship’ was a showstopper, and Henry brought the crowd alive with ‘Day is Done’. The mention of the song ‘Puff The Magic Dragon’ elicited it’s usual “Awwwww" from the audience upon it’s mention. Next up, the audience was treated to a rare performance by Beverlie Robertson & Klaas VanGraft, formerly of The Chanteclairs folk trio. Their set was quite literally a trip back to a Yorkville coffeehouse, where they first gained fame. 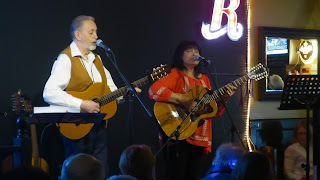 Their intimate approach to songs like ‘Whistling Gypsy’ and ‘Guantanamera’ entranced the audience. This was the real thing! The Where Have All The Folk Songs Gone? gang kicked off their set with the lively ‘Walk Right In’ to get the singalong started. As is often the case, the audience began singing the song from the first notes of the musical intro. Their set also featured a rousing rendition of ‘MTA’ led by Dwight, and Michelle’s, always amazing version of Phil Ochs ‘Heat Of The Summer’. The evening culminated with all the performers on stage together trading off on classics like ‘This Land’ and ‘If I Had A Hammer’. The wonderful audience was with us every step of the way! 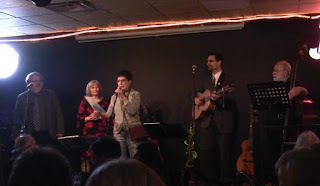 It was such a great night and the audience response has already inspired plans for the next Hootenanny. Stay tuned!